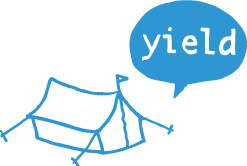 Book your tickets now for RailsCamp #5. The venue we are booking has capacity for up to 150 people. We will have a separate dining hall and multiple smaller areas for chillout/Werewolf/Guitar Hero/etc. The venue is also fully catered and we will have three hot cooked meals per day (including Friday night & Monday morning). The caterers will be responsible for packing/unpacking this and general clean up. The cost per person is $164 - regardless of whether you want a dorm bed or want to share a tent. It does not include any transport costs. The final cleanup on the Monday is included, so we do not need to clean up before leaving. See more photos from previous RailsCamps. 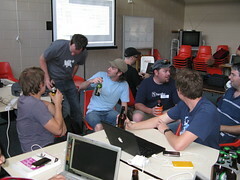 Subscribe to the RailsCamp Latest News feed for officially sanctioned updates. 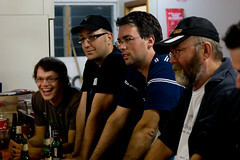 Subscribe to the RailsCamp Mailing List for a lot of chin wagging. We’re aiming to organise a bus transfer from Gold Coast airport at 3:30pm on Friday, and will return to the Gold Coast airport before 10am on Monday morning. Its estimated the cost for the bus will be $45 or so. When final numbers are known, a final price will be set and money collected for this at that time. So, if you want the bus choose the appropriate registration ticket to indicate this to our statisticians. We can also plan that the bus does a pickup from the centre of Surfers Paradise if people want to arrive early on the Friday and do some site seeing… Jump on the RailsCamp mailing list to discuss this. Gold Coast Bus or DIY?